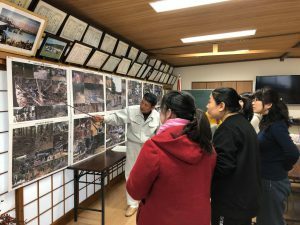 On 7th February, a study tour was held for three students and one associate professor from Nara Women’s University to learn from the City’s recovery from 2014’s torrential rain disaster and a community’s practices. 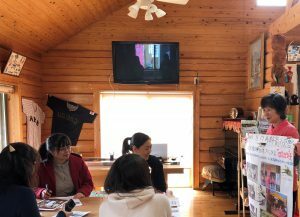 They enjoyed lunch made by a group who started their activities after the disaster, and received a lecture by the deputy director of the local disaster response headquarters of the time of the disaster and later the director of the Disaster Recovery Promotion Department. 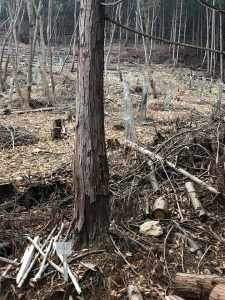 The community leader of Kita-Okamoto also discussed their forest management activities and took the visitors to the “Kita-Okamoto Forest Park” taken care of by the residents. 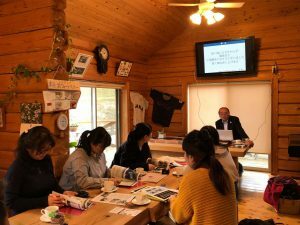 The students had a fruitful time by listening to and communicating with the residents and asked many questions.